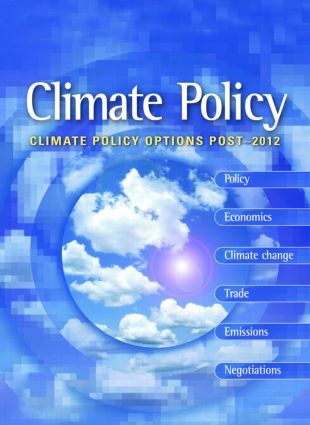 This special issue of the Climate Policy journal addresses the following key questions: * What long-term range of policies for climate change adaptation and mitigation should Europe pursue to adequately enhance sustainability on a global level? * What are the implications of long-term European climate strategy for the design of a global post-2012 climate regime? * What are the key concerns of different stakeholders and how will these concerns impact on long-term climate policy? These questions were discussed during two workshops, commissioned by the European Forum on Integrated Environmental Assessment (EFIEA) and jointly organized by the National Institute of Public Health and the Environment (RIVM), The Netherlands and the Tyndall Centre for Climate Change Research, UK. Selected papers from these workshops were adapted and peer-reviewed for publication. International experts offer detailed policy analysis and review the links between policy and economics, sustainable development, technology and adaptation. Also included are introductory and concluding remarks from the guest editors, highlighting key points and offering an expert synthesis of the workshop discussions. This will be invaluable reading for professionals, researchers and academics interested in climate change and climate policy, policy makers, policy analysts, energy consultants, and representatives from industry planning their own long-term energy strategies.